Tsutomu Tannowa, President and CEO of Mitsui Chemicals, Inc. as of April 1st 2014, (14,722 consolidated employees as of March 31, 2014) is responsible for the company’s interests in functional chemicals, functional polymeric materials, urethanes, basic chemicals, petrochemicals, and its film and sheets operations. 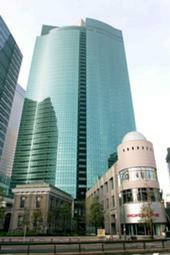 A graduate of Waseda University, Tannowa joined Mitsui Toatsu Chemicals Co., Ltd. in 1976. After having participated in construction of a chemical complex in Algeria, he went on to marketing and sales of basic chemicals. Tannowa was then asked to overhaul the company’s human resources where he set his sights on modifying the company’s codes and regulations. 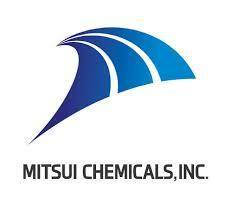 These efforts became a key part of the company’s “New” Mitsui Chemicals transformation. Appointed as managing executive officer in 2010, Tannowa was responsible for overseeing all major business operations from 2012. In 2013, as senior managing executive officer, he become one of the moving forces in restructuring the company’s business operations and the compilation of the company’s new Mid-Term Business Plan. Spotlight on Mitsui Chemicals, Inc.
Mitsui Chemicals, one of Japan's leading chemical companies and a member of the Mitsui Group, has continued to expand its business around the world by offering state-of-the-art technology and high value added specialty chemical products. Established in 1997 through the merger of Mitsui Petrochemical Industries and Mitsui Toatsu Chemicals, the Company's innovative specialty polymers, engineering plastics, chemical solvents, specialty polymers, electronic materials, functional materials, and adhesive resins have a wide variety of applications in the automotive industry. The Mitsui Chemicals Group currently has approximately 100 subsidiaries and affiliates worldwide with over 12,000 employees. The Mitsui Chemicals Group's performance-driven, environmentally-friendly product lineups created with exceptional proprietary technologies enable the development of safer, lighter, and better performing automotive applications and components. The Group's high value added portfolio offers a variety of materials which enhance automobile performance and play key roles in supporting the industry's need to clear increasing stringent clean air regulations. The Company will continue to dedicate efforts to meet the needs of this key market through the development of new and better adhesives and phenolic resins, polyolefins, copolymers, thermoplastic olefinic elastomers, and rubbers. Rapid advancements are being made in the development of environmentally-friendly, next generation products which include innovative materials and fuel cells for eco-cars, weight-saving materials and LED materials for gasoline-powered automobiles, and new materials for information technology. Mitsui Chemicals has established a global network to stabilize supply of high quality polypropylene (PP) material to automotive component and automobile manufacturers around the world. In 2010, the Group started commercial production of polypropylene (PP) in India, where demand is increasing as a result of a rapidly growing automobile industry, and Brazil, a market with great future potential. True to the Corporate Mission of "contributing broadly to society through the creation of innovative high-quality products and materials while keeping in harmony with the global environment", Mitsui Chemicals has found ways to create environmentally-friendly products from non-fossil, inedible raw materials which save natural resources. Mitsui Chemicals also targets priority fields with projects integrating proprietary olefin polymerization catalysts, condensation polymerization, and material design technologies to develop performance-driven automotive materials possessing superior functionality and improved cost performance. Energy concerns and sustenance of the natural environment are pressing global issues. As a solution provider, the Mitsui Chemicals Group will continue to use its exceptional proprietary catalyst technology and unique biotechnology to develop solutions that will improve energy efficiency and reduce global warming gases not only as a chemical company with a strong product portfolio which includes many global and Asian top share products, but also as a good global citizen which places importance on social accountability and protection of the natural environment.